The era of major label 'dance' subsidiaries and remixes certainly threw up tons of classics and unexpected favourites. A time when the A&R men in the big offices were looking for the next streetwise sound, the next club anthem. One such label was the former independent and then Atlantic-backed Big Beat, helmed by the clubbable Craig Kallman who had cut his teeth as a DJ and promo man in NYC's music underground. 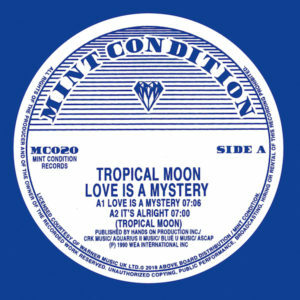 Utilising his skills, Kallman signed Tropical Moon's 1991 seminal deep house EP 'Love Is A Mystery', a collaborative effort by underrated house heavyweights Nelson 'Paradise' Roman and 'Blue' Jean Hughes (RIP). It's no surprise that this record became a cult must-have with DJ's, here was a sublime and mature record crafted by 2 giants of the deeper side of house music, working in unison to create something 'other'. 4 tracks deep with a wide range of style and oozing sheer class, the whole record still sounds incredible today. A must-have for anyone with a love for soulful and deep music, brought back into view for 2018. An extremely sought after and hard to obtain slab of wax right here. Forget those wack bootlegs that you may see online, this is the real deal. 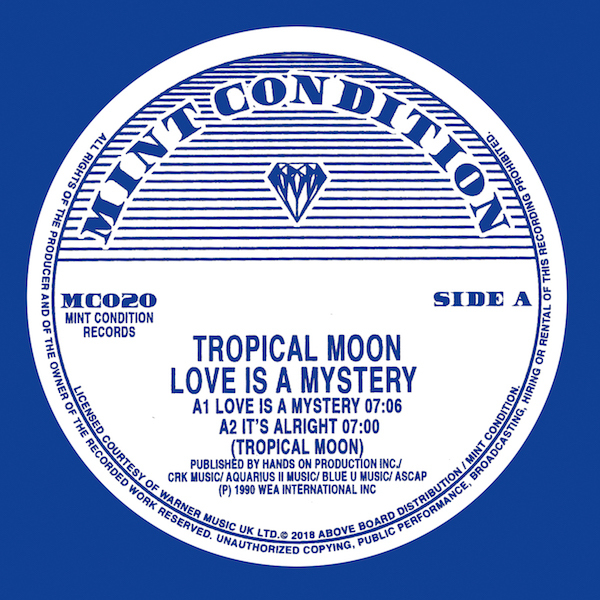 'Love Is A Mystery' has been legitimately released with the full involvement of the rights holders and Atlantic Records and remastered by Bristol's Optimum Mastering from the original sources especially for this release. 100% legit, licensed and released. Dug, remastered, repackaged and brought to you by the caring folks at Mint Condition!